When it comes to finding a new vehicle, it doesn’t get much harder than trying to decide which crossover is right for you. There are plenty of terrific crossovers on the market, and some do certain things better than others. Whether that means they are more spacious, or economical, or are a better vehicle to drive. 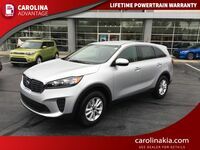 However, only one crossover is all of these things and so much more, and that is the 2016 Kia Sorento in High Point NC. 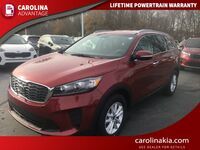 Available at Carolina Kia in several different trims, the 2016 Kia Sorento is one of the most efficient crossovers on the market today. The Sorento received an EPA-estimated 29-mpg highway rating, which means that owning this vehicle will be saving you quite a bit of change at the pump. It comes equipped with a Sportmatic Sports Shifter and standard front-wheel drive. All wheel-drive is optional as well for those looking for that added driving experience. 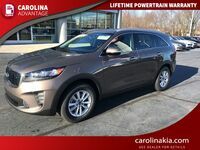 Interested in a 2016 Kia Sorento? 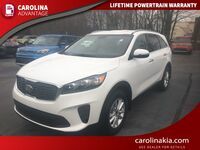 Not only will you receive a fun driving experience with the 2016 Kia Sorento in High Point NC, but you will also get everything you need on the inside. 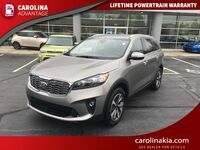 From the UVO eServices infotainment system that allows you to connect your smartphone directly to your vehicle, to the rear camera display to assist you in backing up, the 2016 Kia Sorento has what you want. 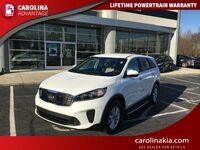 There are also a bunch of optional features that you can receive with the 2016 Kia Sorento including an Infinity Surround Sound system, voice-command navigation, push button start, dual zone climate control, leather seats, power seats, and more. Anything you could ask for in a vehicle is available with the Sorento. One thing you don’t usually expect from a crossover is this much room. The 2016 Kia Sorento has available seating for up to seven, and there is plenty of room for everyone. With over 31-inches of legroom in the second and third rows, no one will ever be feeling cramped. The front is spacious as well with 39.5-inches of headroom and 44.1 inches of legroom. You will also have plenty of room for any extra baggage that you may have to bring along in the Sorento. The rear has 38.8 cubic-feet of cargo space with all of the seats up. With the second row down that jumps up to 73.5 cubic-feet. No matter what you need to put in the back, whether you’re going camping, mountain biking, or grocery shopping, the Sorento is up for all of it!